The Intrusion Prevention System for D-Link NetDefend UTM Firewalls provides added security to your network by utilizing component-based signatures to protect against all varieties of attacks. The D-Link NetDefend™ IPS service adopts a unique technology - component-based signatures, built to recognize and protect against all varieties of known and unknown attacks, addressing all critical aspects of an attack or potential attack including payload, NOP sled, infection, and exploits. In terms of signature coverage, the IPS database includes attack information and data from a global attack sensor-grid and exploits collected from public sites such as the National Vulnerability Database and Bugtrax. D-Link is committed to deliver high quality IPS signatures by constantly creating and optimizing NetDefend signatures via the D-Link Auto-Signature Sensor System. Without overloading existing security appliances, D-Link IPS signatures ensure a high ratio of detection accuracy and the lowest ratio of false positives. IPS captures variations of attacks and stealthy malicious traffic to prevent outbreaks of these threats without creating unnecessary new signatures while still protecting against Zero-Day attacks. Complete IPS logs with vulnerability ID numbers, severity levels, attack descriptions, and recovery solutions enable MIS personnel to know about and respond quickly to network attacks. The IPS scan engine is an in-depth inspection of data from Layer 2 to Layer 7 protecting against both false positives and false negatives and preventing various types of network-based threats with a high degree of accuracy. All IPS signatures are continuously updated automatically and made available through D-Link update servers worldwide. The service keeps your IPS signature database as current as possible at the outside of new threats. Protect the system against network attacks using over 1,800 signatures as well as protocol anomaly inspection. My D-Link portal provides a registration and management platform for all D-Link customers. D-Link customers need to register their firewall to receive IPS update services from the NetDefend Center's My D-Link. The current status of all registered products will be presented, including Model Names, MAC addresses, Serial Numbers, Registration dates, and IPS Service Expiration dates. 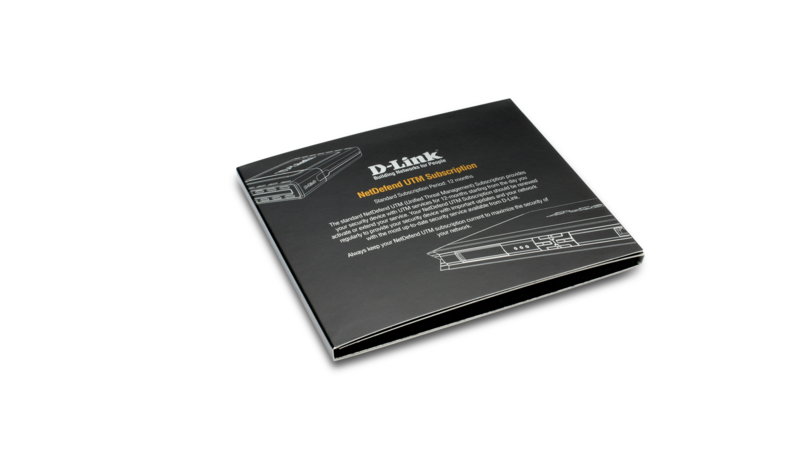 Customers can easily maintain all firewall registered under My D-Link. The NetDefend Center also provides customers with NetDefend Live. NetDefend Live is a platform for providing information about potential security breaches and associated advisories. When D-Link Security Center discovers new exploits and releases new signatures, associated security advisories will be simultaneously updated. This update is provided on a 7x24x365 basis. The main purpose of NetDefend Live is to help customers know more about new signatures and vulnerabilities. MIS departments can use NetDefend Live as reference to uproot threats and patch vulnerabilities within the enterprise before they are exploited. With NetDefend firewalls as the first line of defense and NetDefend Live as the second, D-Link helps customers to counteract emerging network threats promptly, before they have an impact on business.